For such a mountainous and rocky country like Armenia, rivers are considered to be a divine gift. In this “Land of stones” rivers are natural and spiritual wealth, as well as national pride and the call of the soul. Despite the fact that the rivers in Armenia are not long, they are extremely fleet and impetuous, that is why in ancient times Armenia was called “Nayiri” – the country of fast waters. Wellsprings with fresh water you can find everywhere in Armenia: springs with pure transparent waters if you are in the mountains, or the famous “pulpulaks” which you can find almost on every street in Yerevan. More detailed information about water in Armenia and pulpulaks you can get here. The Armenian plateau is rich in water resources: it’s a unique hydrographic unit, which has hosted four major rivers of Asia: the Euphrates, Tigris, Araks (or Yeraskh – Armenia’s mother river) and Chorokh that, according to the Old Testament, are the four sacred rivers of Eden. Rivers occupy 4.7% of the total territory of Armenia. There are about 9480 large and small rivers and streams. 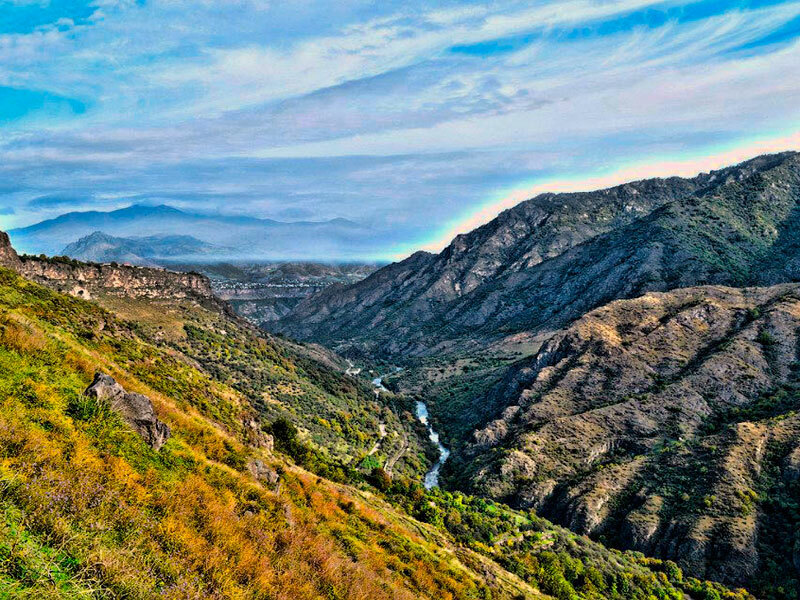 Most of them are hidden among the beautiful picturesque mountains and decorate the nature of Armenia. 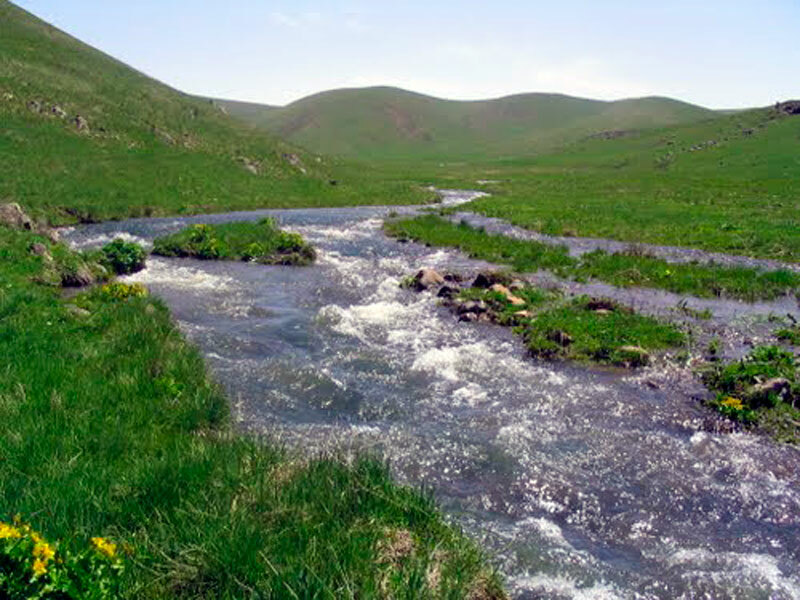 The Araks river, originating from the Byurakn mountains, is considered the mother of the Armenian rivers. The river has been mentioned about since the times of the Old Testament. 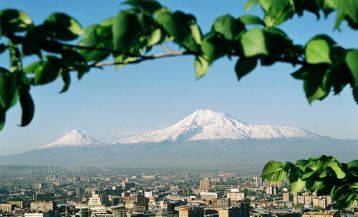 According to the Bible, right on the Armenian Highland was situated the Garden of Eden, in the valley of the four sacred rivers: Euphrates, Tigris, Araks, or Bible Geon, and Chorokh. 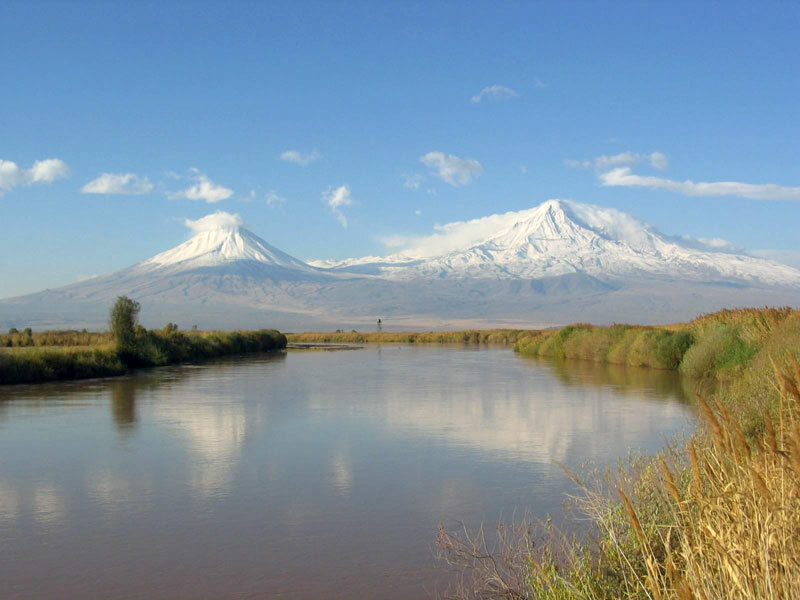 The waters of the Araks and its tributaries irrigate the Ararat valley, where the annual rainfall is only 250-300 mm. 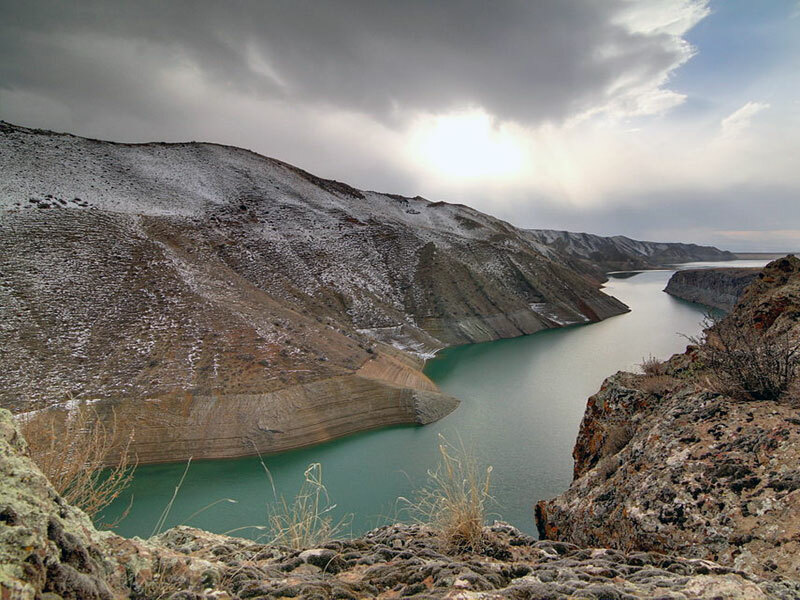 Flowing through the Armenian highlands, it is the only major river, which further flows into the Caspian Sea. Araks has rich fauna: once you are in Armenia, you should definitely try the trout or Armenian red sweetfish, which is bred in the river. The Arpa river begins at an altitude of 3200 m and has its origins in the northwest plateau of Artsakh. The total length is 126 km (in Armenia, 90 km). The upper river is a rapid mountain stream that flows through a canyon and has a great fall. Then the river flows around the famous waterfall of Jermuk absorbing its waters. The gorge of the Arpa river is exceptionally picturesque, the highway leading from Yerevan to Artsakh and Iran passes through it. Near the Arpa River are some of the best known and most spectacular sights in Armenia: the Church of Areni, the ruins of the ancient city of Mos, Gndevank, Agarakadzor with an ancient arch bridge that has survived from the XIIIth century. The area is also renowned for its caves, where as a result of archaeological excavations had been found numerous unique human remains and relics dating end of V millennium and the beginning of IV millennium BC. The most ancient leather shoes in the world were also found in the Areni caves in 2008. Along the river banks near the village of Areni, you can find special pavilions and recreational spots, where tourists will be able to organize picnics, make a barbecue and enjoy fine wines. By the way, it is in Areni that the traditional Festival of Wines takes place each year. The Garni canyon extends along the length of the Azat River and is famous for its beautiful rock formations, seemingly made of artificial stones, which consist of a regular hexagonal cylinder. They extend from the foot to the top of the canyon and are called “The Symphony of Stones”. On top of the canyon is the famous pagan temple of Garni and the monastery of Havuts Tar. 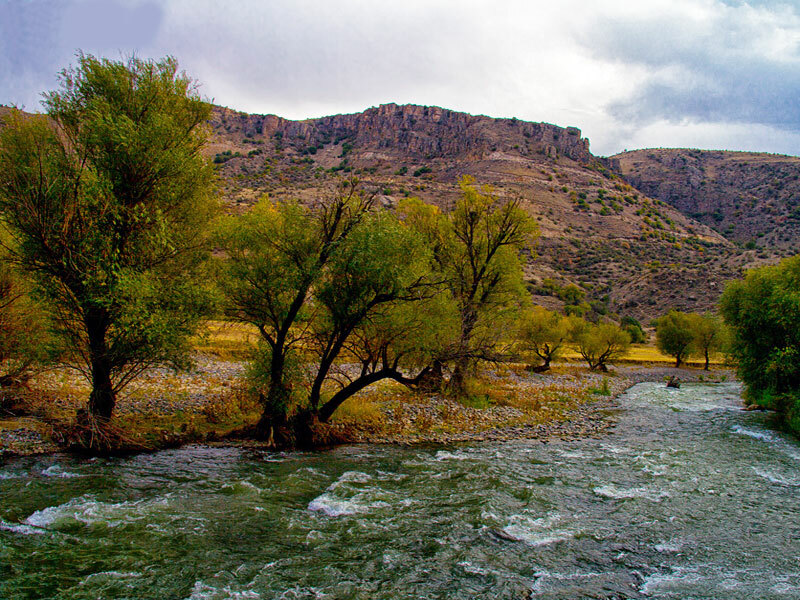 The Azat River has a length of 55 km, it is stormy and truly justifies its name: translated from Armenian it means “free”. Another stormy mountainous river with a total length of 178 km flowing through the territory of Armenia and Georgia. Near town of Tumanyan the river forms a canyon with a depth of 350 meters. 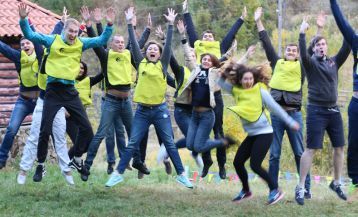 It is here, on the banks of the river Debed, that numerous monuments of antiquity such as Haghpat, Sanahin monastery complex, Akhtala, Kobayr, Karasnits Mankants Monastery are situated. On the river Debed in the town of Alaverdi Sanahin bridge is – a miracle of medieval Armenian engineered, built in the 12th century. Across the bridge is the road to the monastery of Sanahin. Across the river Debed in the town of Alaverdi another miracle of medieval Armenian engineering, built in the 12th century can be found – the Sanahin bridge which connects the town with the monastery of Sanahin. The Vorotan River has its roots in Artsakh Plateau and flows into the Araz river. The length of this mountainous river is 178 km. Many landmarks are located near the Vorotan river, such as the Monastery of Tatev, the Big Desert of Tatev, Vorotnavank, Sisavank, as well as natural wonders such as the Devil’s Bridge and Shaki waterfall. Devil’s Bridge is the creation of nature. 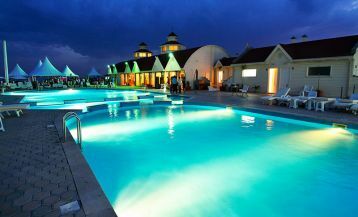 Its length is 30 m, width 50-60m. Across the bridge lies the road from Goris to Tatev village. The area is rich in mineral springs which have contributed to the creation of beautiful stalactites. Some sources are located right under the bridge and fall into the Vorotan river, as a result the river becomes more turbulent and overflowing. At first glance, it seems like a shallow river is flowing under the bridge, but looking from the other side, we can already see a rough stream. Most likely the unusual name of the bridge can be explained by this particular feature.